2 lamps, heavy-duty mounting brackets, illuminated switch, deluxe wiring harness included. 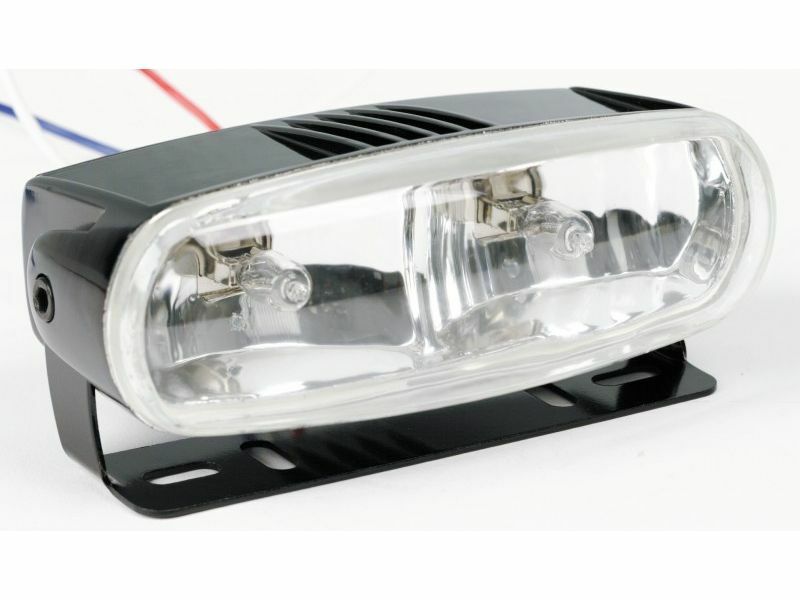 The Hella optilux 2020 series combination fog and driving lights for vehicles. Featuring 2 55W H3 halogen bulbs with dual driving and fog beam patterns. Light dimensions are 2.4" H x 5.7" W x 2.8" Deep. Offering a die cast black metal housing. The lamps are compact, SAE compliant and the kit comes with two lamps, a heavy-duty wiring harness, mounting brackets with a 3 position illuminated switch. Made by hella automotive aftermarket lighting. An oval-lens lamp with die-cast black metal housing. Dual driving/fog beam patterns. Lamp kit includes heavy duty mounting brackets, illuminated switch, deluxe wiring harness, and two (2) lights. Note: The height of the lamp is 2", it is 2.4" including the mounting bracket.